It's time to play the music. It's time to light the lights. Twenty-six new episodes of "The Muppet Show'' are in the works for broadcast around the world. German media group EM.TV and Merchandising AG - which last month bought out Los Angeles-based Jim Henson Co. and rights to its Muppet creations - announced Monday it was planning to revive the children's television show that won the hearts of millions in the 1970s and 1980s. Spokeswoman Stephanie Schusser said details were still being worked out. But the new "Muppet Show'' is expected to keep the same musical format and feature many of the same characters, including hosts Kermit the Frog and Miss Piggy and even blue-nosed Gonzo. It will also have human celebrities as guest stars, as was done on the old shows. "Like many of our productions, it will probably be made first in English, but it is definitely targeting a worldwide audience,'' Schusser said. When it was still on the air, "The Muppet Show'' was broadcast in more than 100 countries. 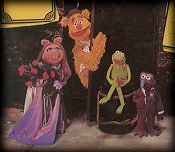 The last "Muppet Show'' was made in 1981. But two years ago, the Jim Henson Co. produced 22 episodes in a series called "Muppets Tonight.'' That series ditched the live theater set for a television studio background, but only aired for two seasons. EM.TV chief executive Thomas Haffa said he and Brian Henson, head of Jim Henson Co., decided to revive the series on a recent plane flight from New York to Munich, according to a report in the Sueddeutsche Zeitung. Schusser said scripts for the new shows have not been written, but that the shows could be finished by early next year. It was unclear when and where they would first be broadcast. 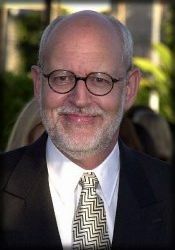 Frank Oz, one of the creators behind the original show, is expected to be a part of the team breathing magic and humor into the new series. Munich-based EM.TV bought the Jim Henson Co. for $680 million in cash and stock. The deal gave the German company exclusive rights to such fuzzy critters as Kermit, Miss Piggy, Bert, Ernie, and the scraggly green furball, Oscar the Grouch. It also sealed ownership of some of the world's best loved children's shows, including "The Muppet Show,'' "Jim Henson's Muppet Babies'' and "Fraggle Rock,'' as well as a string of Muppet films.